I have been reading and watching this tag alot because even though I LOVE my high end products I am also a huge fan of drugstore/highstreet products. 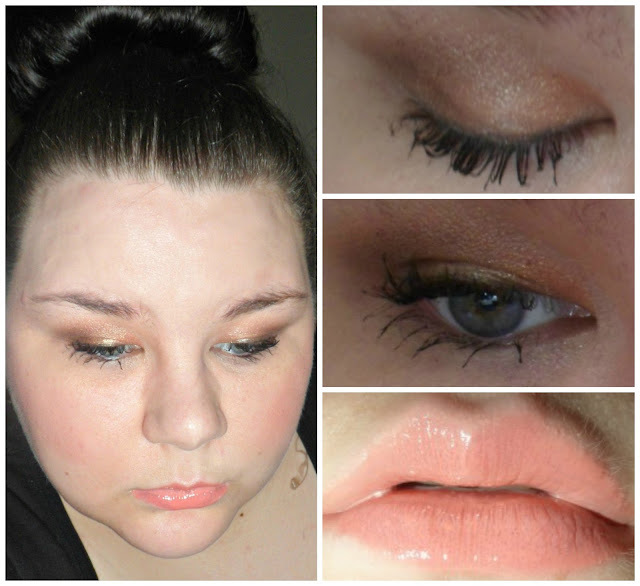 I mean who doesn't love a good drugstore dupe :).. I use high end makeup but totally believe you can get products that are just as good and sometimes better at the drugstore. At the moment I think it is Rimmel. They have been bringing out some really good products at the moment. They are definitely on there game. 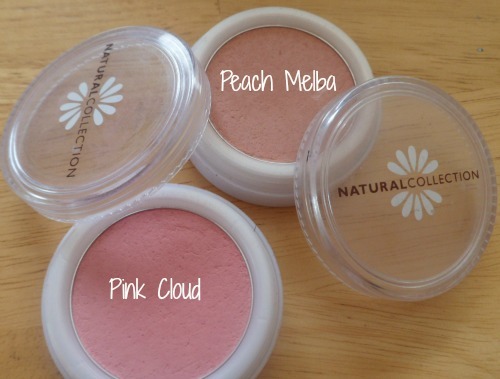 Natural Collection blushes in Peach Melba and Pink Cloud. 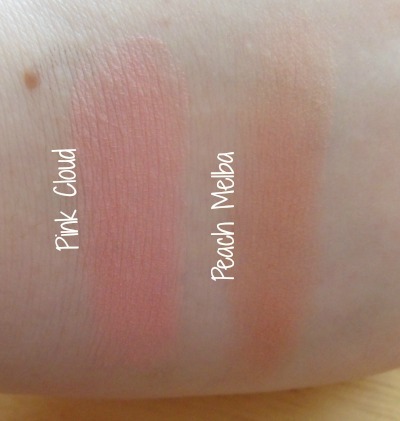 I love these blushes they have good pigmentation and last all day and for £1.99 you can not complain. Collection 2000 Lasting Perfection Concealer. It is an high coverage concealer and it is definitely one of the best concealers I have tried, and I have tried alot. 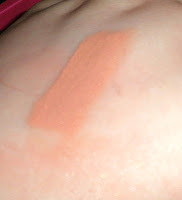 It is high coverage without being cakey and even goes light enough for me to use which is rare for a drugstore product. This changes all the time as I think that the drugstore do some of the best lip product especially Rimmel and Revlon but at the moment my favourite is the Loreal Glamshine Stain Splash, they are such good dupes for the YSL Glamshines (You can read my compairson HERE). For me my least favourite products are drugstore foundation, It is only because they do not go light enough for me which is so annoying because there are some really good foundations but they just look too orange on me, If anyone does know of a foundation that goes super light and is good PLEASE let me know I would love to find one. Rimmel Stay Matte Powder is such a baragin at £3.99 and is one of the best powders I have ever used. 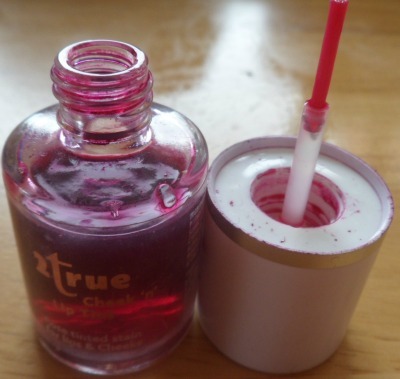 I think my underdog product would be the 2true Cheek and Lip Stain. People may have talked about this product and I just haven't seen it but I love it. I am sure we all know what a stain is so I don't need to go in to details but it lasts all day, It goes over foundation smoothly and is a bargain at £1.99. Max factor false lash effect mascara, It is a good mascara but at £10.99 it is not far off the price of a high end mascara. I have a lot of dupes that are hyped up in the beauty community so as everyone knows about them there is not much point mentioning them, like the MUA undress me pallette and Maybelline colour tattoos but one that I do have that is not mentioned a lot (I think) is the Technic Nail Polish in Carnival is a dupe for OPI Rainbow Collection. For me personally I don't get the hype with the maybelline dream lumi touch but that is probably because it does not go light enough for me to get the desired effect. I love my high end makeup products, but I also like most of us here I love a good bargain and think that you can find amazing products at the drugstore/hightstreet. I think Revlon lipsticks are some of the best out there. 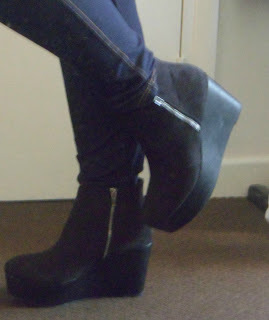 They are long wearing. 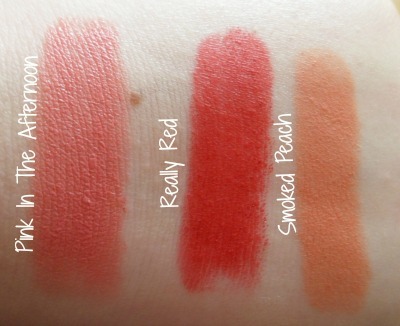 They have such gorgeous colours and formulations and for the price they are really hard to beat. 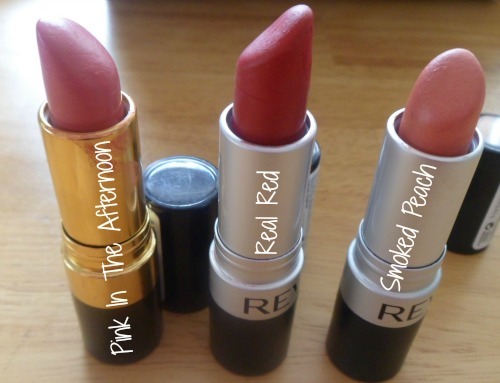 I have loads of lipsticks from them but these 3 are my favourite ones. Really Red (Matte) - This is a blue toned bright red. This is such an amazing eyeliner, The formula is very black and stays put all day long even with my extremely oily eyelids. It has a sponge applicator which is so easy to use it makes doing eyeliner I a doddle. I have hooded eyes so usually eyeliner ends up all over the top of my eye lids but it doesn't with this. I cannot recommend this product enough and will be repurchasing this for as long as they make it. I had both shades the rose and the pink but I accidentally smashed the pink one so I need to go and pick it up again soon. Rose just gives a gorgeous rosey flush to the cheeks. This is a very popular product in the beauty community and with good reasons. I have tried ALOT of concealers over the years from high end to drugstore and this is definitely one of the best that I have tried. It is an high coverage concealer, which doesn't look cakey on the. It is easy to blend and even goes light enough for me to use and all for the small price of £4.19. 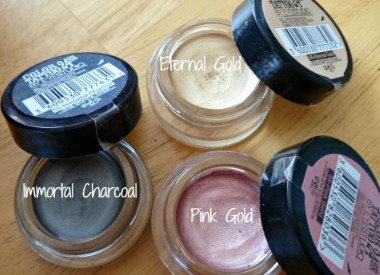 These cream eyeshadows are amazing dupes for the mac paint pots. They make such good bases but they do crease on me so I have to use a primer. I love using the immortal charcoal when I am doin a smokey eye. I just wised that Maybelline would release some neutral colours in the UK. Now these are a bargain at £1.99, The packaging is crap but who really cares when the product is actually good quality and the price is so cheap, They do not last all day long but for a good chunk of it, I am not sure if all the blushes are good, some of them are a bit chalky but the two that I have are fine. 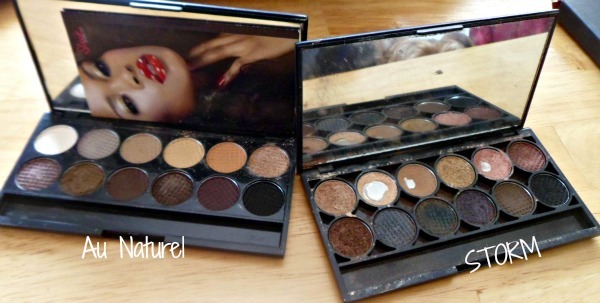 These palettes are also huge in the beauty community. The storm palette is talked about alot. I have Au Naturel and Storm. 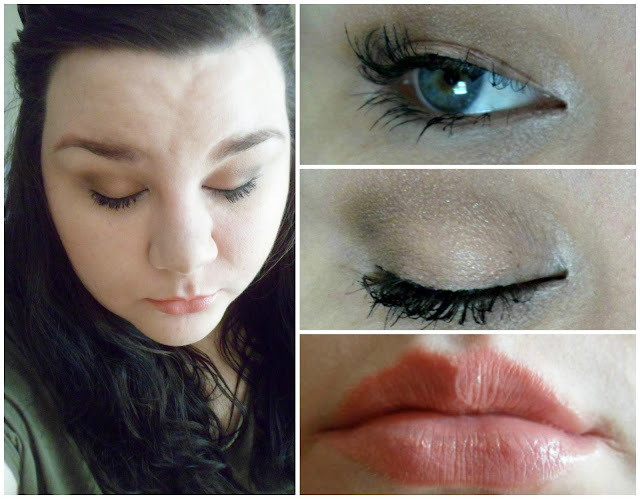 The eye shadows are velvety, easy to blend, super pigmented. 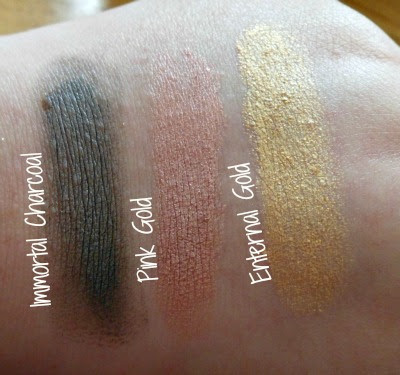 I haven't swatched them because I am planning on doing a post about my favourite eyeshadow palettes. This is one of them highlighting concealer pens that are everywhere at the moment. I have used this for over a year now. It covers my dark under eye circles and gives such a lovely glow. It also doesn't crease under the eyes and. 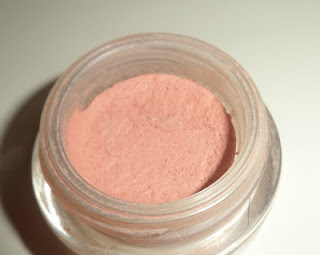 I use this as a highlight on my cheek bones and down my nose too on days where I don't really want to wear much makeup. I tried the Maybelline dream lumi concealer but it did not go light enough for me like the aldi one did and I even think it works better on me than the YSL Touché Eclat. What Are Your Drugstore Favourites? This is just laziness to be honest but I mean who really has time to moisturizer there body everyday. I need to at least do my arms as I have Keratosis Pilaris pretty bad on them (I will do a post on this soon) but I just never do. I am at the age now where I should start wearing eye cream. Prevention is better than cure and all that but I just forget every time. Now, I don't poke it in my eye anymore but because I have super long lashes and really small hooded eyes it means that 9 times out of ten I end up with mascara somewhere on my eyelid messing up my eye shadow. I know, I know it is disgusting and even writing this is actually making me cringe I have gone months and months without washing them and I don't even want to know how long it has been. I have no excuse either it is just laziness. I have tried to wash them more often I even started putting it as a reminder on my phone but that just failed. These things on my face are the bane of my life I can just never get them to look nice if one is ok the other is so messed up. I cannot get them to look even remotely similar. I know they shouldn't be identical - They should be sisters not twins but my eyebrows don't even look like friends. I either over pluck or fill them in to dark. I just need help! Superdrug Brightening Hot Cloth Cleanser - I have been using this on and off for a few months but started using it everyday this past month and I totally feel in love with it. I have a first impressions post which you can see here but to be honest I didn't think I would get on with it, I thought it was going to be to thick and heavy but I was wrong, it does the job at cleansing my skin and as long as I use a toner there is no reminisce of the cream left on my skin and for only £5.99 you really cannot grumble. Superdrug Vitamin E Night Cream - This is such a lovely night cream, it is highly fragranced so if you don't like that then this will not be for you but I like the smell and it does not linger on your skin, it is a rich moisturizer and sinks in to my skin like a dream leaving it soft and for 2.99 it is such amazing value for money. Nivea Lip Balm - This is one of them staple and classic products that have been used for generations. I have had really dry and disgustingly flaky lips this month and for some reason I could not find any of my lip balms even though I have loads, (I am sure there is a fairy that comes along and takes my lip balms and delivers them back to me a year later once they are completely disgusting and out of date, she must keep them with the hair grips she takes from me), anyway I just ran in to Superdrug and picked this up and totally fell back in love with it, it is the perfect night time lip balm, thick and creamy, it healed my lips like nothing else and it definitely is going to be a staple in my night tome routine. What are your March favourites?